Three snapshots from my phone. I want to blog properly but I've got so much on my mind, I can't seem to just sit down and write. 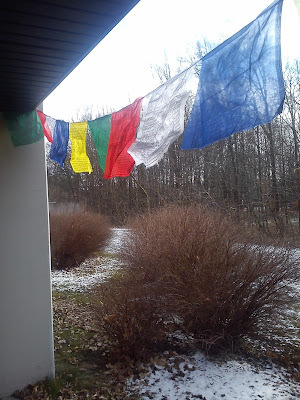 Tibetan prayer flags on the patio. 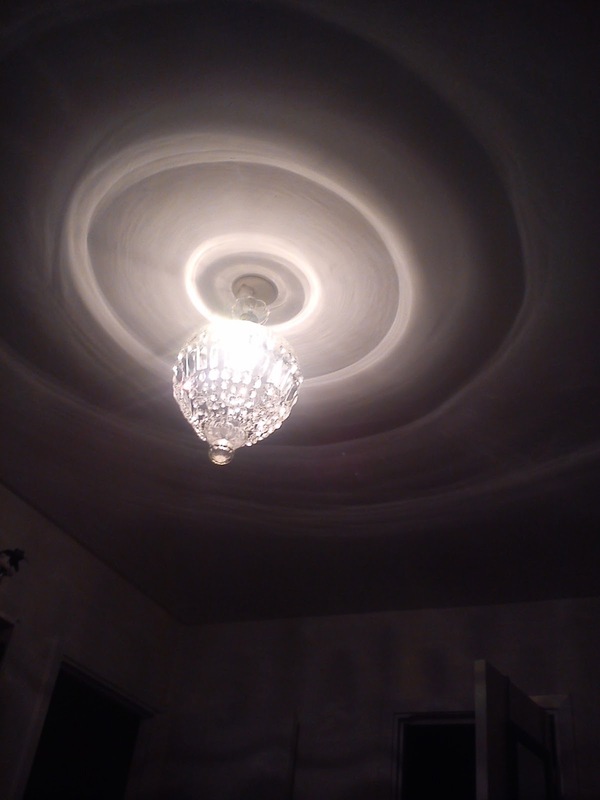 Crystal lamp (not quite a chandelier...) making the ceiling look all pretty. My first go at colourwork. 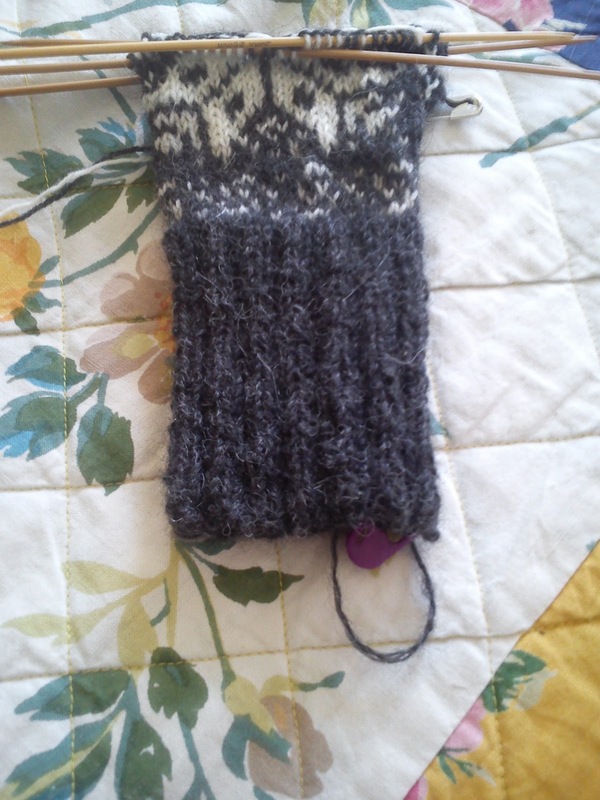 I might be knitting a wee bit too tightly, but it's good practice.